Beautifully situated within the Letton Court Estate this 1.5 mile stretch of glorious middle Wye offers pool after pool of likely salmon water. The pools are well defined and varied with fast necks and steady tails and the wading is extremely easy. Vehicular access is good too (especially 4 x 4). From green-grass banks and carpet slipper wading – you’ll fish with no hint of our time: no pylons; no road-drone and no on-site tackle shop … you are part of a ‘Gainsborough’ here at Letton; you are the contented soul steeped in the pastoral loveliness the artist portrayed so often and so well. Comfortably ensconced within this idyll with a rod ready for action you might well consider yourself very pampered indeed. A Letton Court Salmon taken on a tiny Willie Gunn double. With new owners, this left-hand beat is being open formally to the public this year they are having a Spring Salmon promotion too! 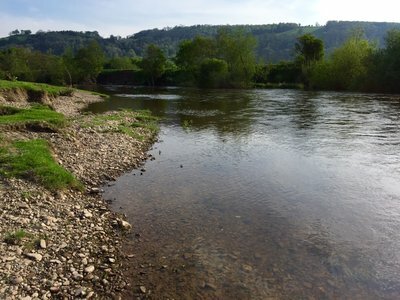 Where could you go and fish for Wye spring salmon in such stupendous settings for £10* per half day?! Fish&Fly members can use the “fanf” voucher code for £10 off ! 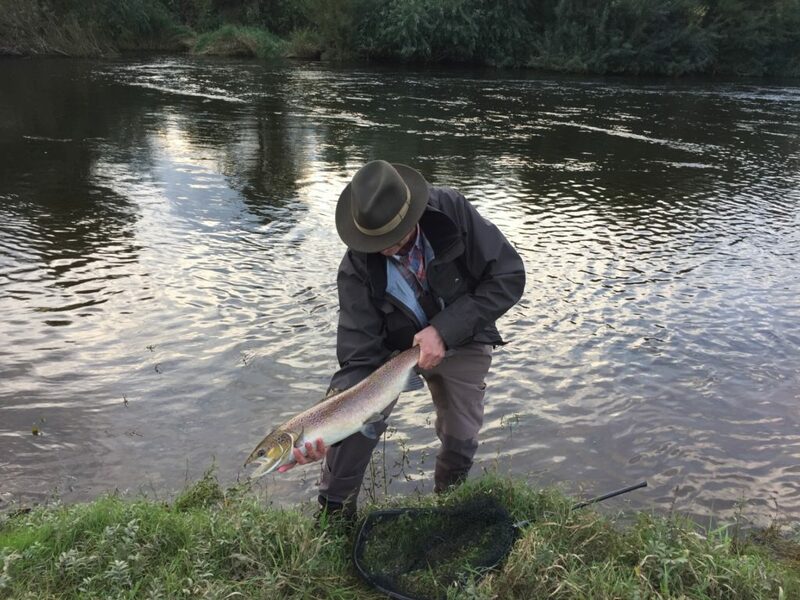 And there is a genuine chance of a mighty salmon – The Wye is famous for them! Book your spring salmon fishing now for only £25 per day per person or half day £15 until June 16th 2018. Salmon Fishing Full Day (7.30am to Dusk) Click on the calendar below on the date required. Salmon Fishing Half Day (7.30am to 1.30pm) Click on the calendar below on the date required. Salmon Fishing Half Day (1.30pm to Dusk) Click on the calendar below on the date required.